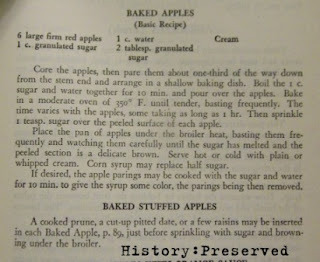 Today's post is a very old classic that generations have enjoyed on cold nights around the fire - Baked Apples! I love the simplicity of this dessert, especially with the added cream to soften the tart-sweetness of the apple. 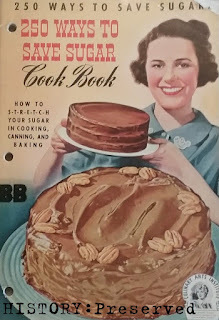 This particular recipe is from The Good Housekeeping Cook Book dated 1944. 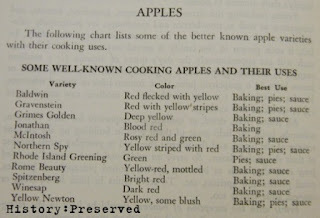 And while there's nothing specifically wartime related about the recipe, I felt the really telling thing was this list of "well-known apples" that's at the preface of the Fruits section. How many of those apple varieties do we see at the store now? How many do you recognize? It's amazing to think that all of these were considered well known in the 1940s and how bland and limited our selection is now! 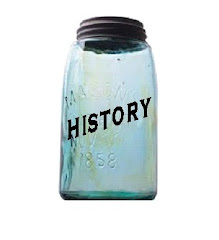 I believe all of these are considered heirlooms, and, excepting the Jonathan and McIntosh which you can sometimes find at the store, unless you grow them yourself or know a farm that does, you might never taste them. How very sad! I've had my eye on the Gravenstein apple for a while and hope to grow some in the future. 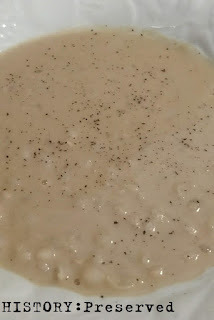 What fun it would be to taste all of these on the list! Here is the recipe for the Baked Apples. 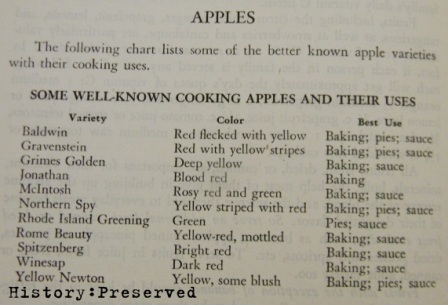 And notice the recipe for the Baked Stuffed Apples at the bottom. Those sound pretty tasty as well!